Men’s swimming and diving season is about to start, and, if previous years are any kind of indicator, it is about to be a great one. The team is definitely a tightly knit group, as they find a balance between having fun and working hard. When asked what they were most excited for this season, answers jokingly ranged from, “having fun,” to “getting swole,” to “the hot tub,” to “shaving my head after bleaching.” On this note, hair bleaching is a common high school swim team tradition that thrives year after year at Northside--even though the team members rate their enjoyment of it as a 1.4 out of 10. Despite this, the majority of swimmers still participate, providing a great example of the kind of team spirit and camaraderie the team embodies. According to Coach Ceja, “Joining a team in general is good socially, especially in high school, when many students feel alone in a new environment, or feel like they don’t have friends. Regardless of background, teammates come together and support each other during good and bad times.” The feeling were similar among the swimmers, whose favorite memories included: “Winning city two years in a row (Shimada)” and “When Gabe was so afraid of a rat in the weight room that he hid on top of the leg press machine (Lukas Hoffmann's, Adv. 906).” The swim team is not only a great source of exercise, sports experience, and a PE waiver, but also an unmatched bonding experience. “The friends you make on swim team will be your best friends for the rest of your life,” said Coach Ceja. Practices start Monday, Nov. 20. Swimming practices happen every weekday after school from 3:30 to 5:30, and diving practices are in the mornings from 5:30 to 7:30. Although diver Adam Toepfer, Adv. 807, knows early sessions may deter students from joining, he explains that, “there is a hot tub and you get used to waking up that early.” There is usually at least one meet a week, although, as the season picks up, they become more frequent. Workouts for swimming consist of a variety of sprints, distance sets, and drills ranging across the four competitive strokes: butterfly, backstroke, breaststroke, and freestyle. Diving workouts are typically a combination of dryland conditioning and learning and practicing various dives. While familiarity is always helpful, anyone from any swimming level is welcome to join the team--diving especially appreciates new members and does not expect any experience. Although the interest meeting has already passed, the team is still conditioning and it is not too late to start. 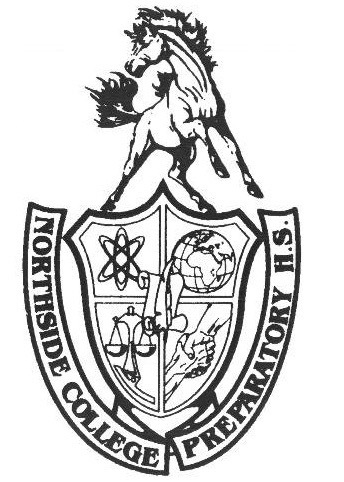 Northsiders can cheer on the team during their first scheduled meet against Elk Wood Grove on Dec. 9, when the team is sure to kick off a strong season.